Fabulous yellow leather clutch/envelope handbag with polished silver hook. A wonderfully unique handbag that's just a lot of fun. This will be a wonderful addition to your handbag wardrobe. The measurements are: length 21-1/2", height: 8-1/4". A one of a kind trend setter, that's perfect for any occasion. 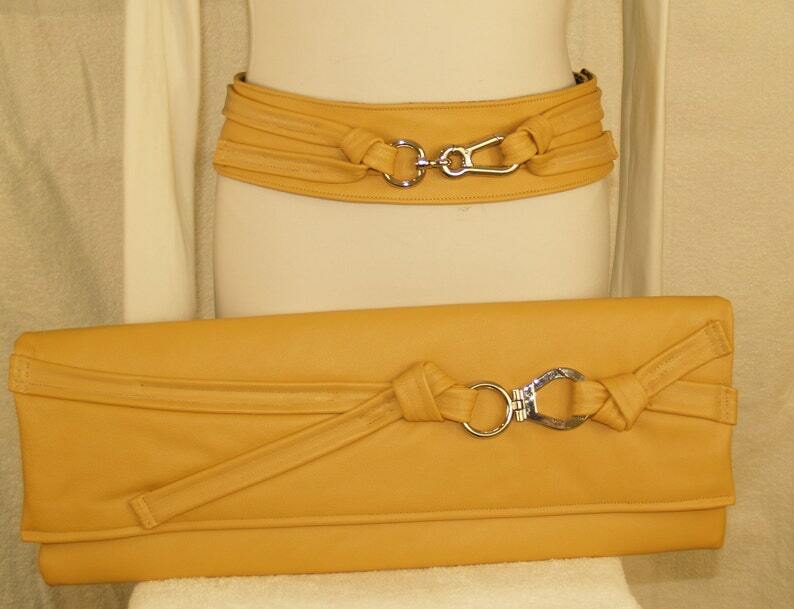 This handbag has a matching belt which is sold separately. A Divinely inspired original. Belt not included, sold separately.